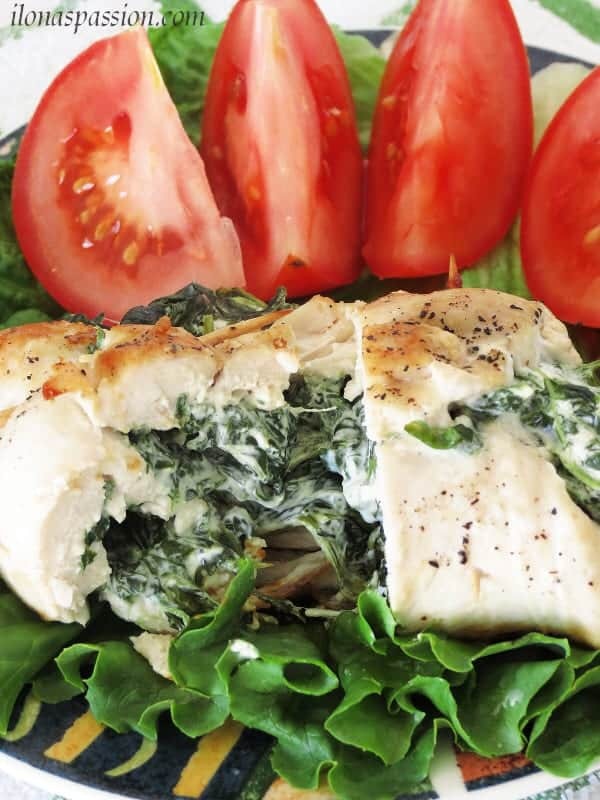 Chicken breast stuffed with spinach and cream cheese. Recently I was thinking about new dinner ideas, sometimes I am bored of eating same food very often. 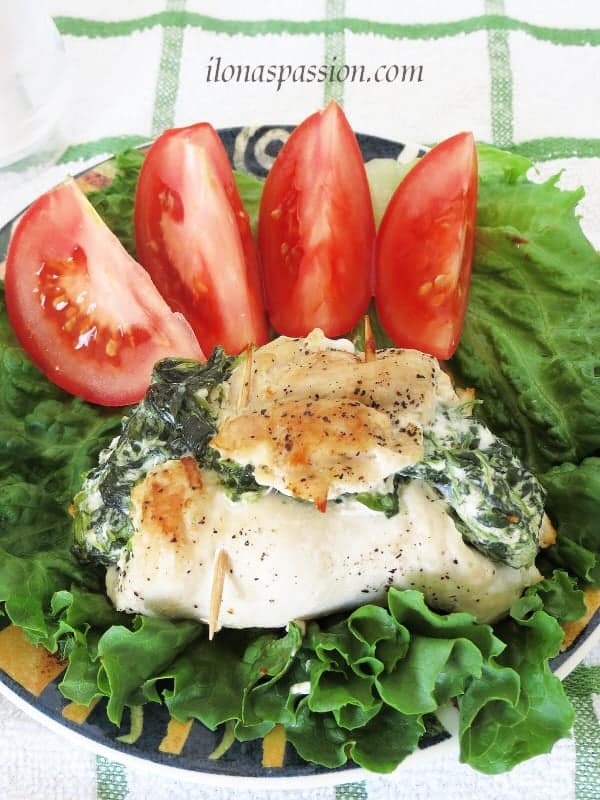 I love spinach and of course cream cheese, so I decided to make this delicious dish; stuffed chicken breast with spinach and cream cheese. It was very easy to make and I did not even use an egg for spinach and cream cheese mixture. It is just simple as that! The stuffing was creamy and it was perfect addition to chicken. Mix (softened) cream cheese with spinach. Add pepper & salt. 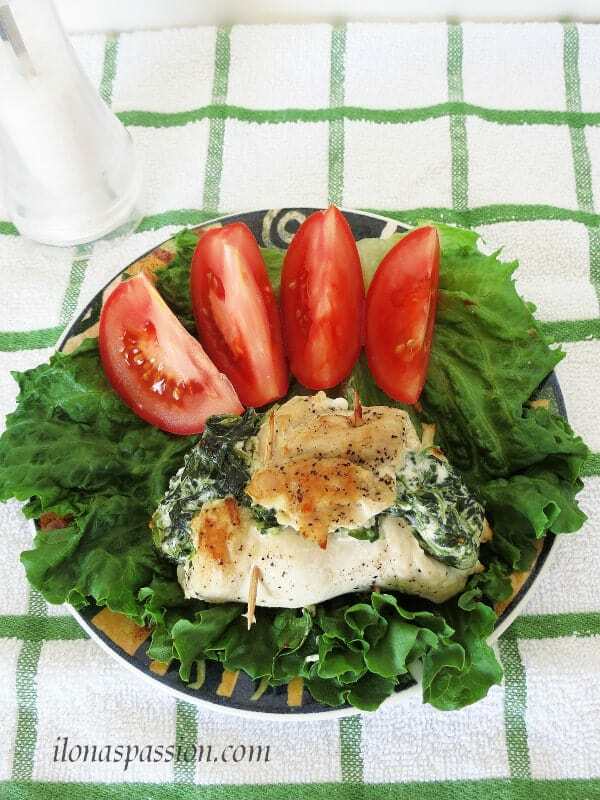 Stuff chicken breast with spinach & cream cheese. Roll up stuffed chicken breast and secure with toothpicks. Preheat a frying pan with oil. Cook chicken uncovered on medium heat for 7,5 minutes each side. About 15 minutes total. This sounds, and looks fantastic! I love stuffed chicken! This sounds awesome Ilona! It’s almost like spinach dip INSIDE chicken! YUM!